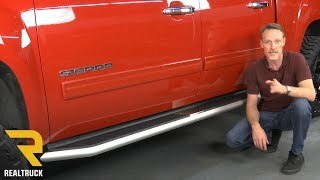 Upgrade your truck with the Steelcraft STX300 Running Boards. The unique style and construction of the STX300 board is guaranteed to get attention. Take advantage of this great product as soon as you receive it with no-drill installation that requires only common hand tools and is shipped with all the necessary hardware. The STX300 from Steelcraft is constructed from high-grade aluminum for the ultimate in strength and corrosion resistance - but they didn't just stop there. Steelcraft added an extra-wide 4.5" stepping surface that is injection-molded, so you can step up in your truck without slipping in the harshest environments. Steelcraft knows you want a solid, reliable step that will look great and last longer than your truck. That's why every set of Steelcraft running boards comes with a limited lifetime warranty. Get your STX300 running boards today! Aircraft grade aluminum construction-CAD designed aircraft grade aluminum provides ultimate strength and durability. 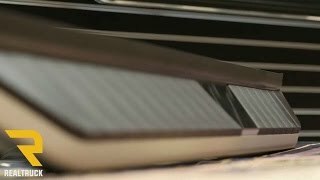 Durable injection molded step pads-Precision molded step area ensures that every step lands safe, secure, and even. 4.5” step width-The 4.5” step width is easy to find in low light conditions, and allows for comfortable exit anytime. No drill installation-These boards mount directly to your vehicle using pre-existing factory mounting locations. Installation requires only simple hand tools. Limited lifetime warranty-Steelcraft guarantees the STX300 running boards for a lifetime, true quality lasts. 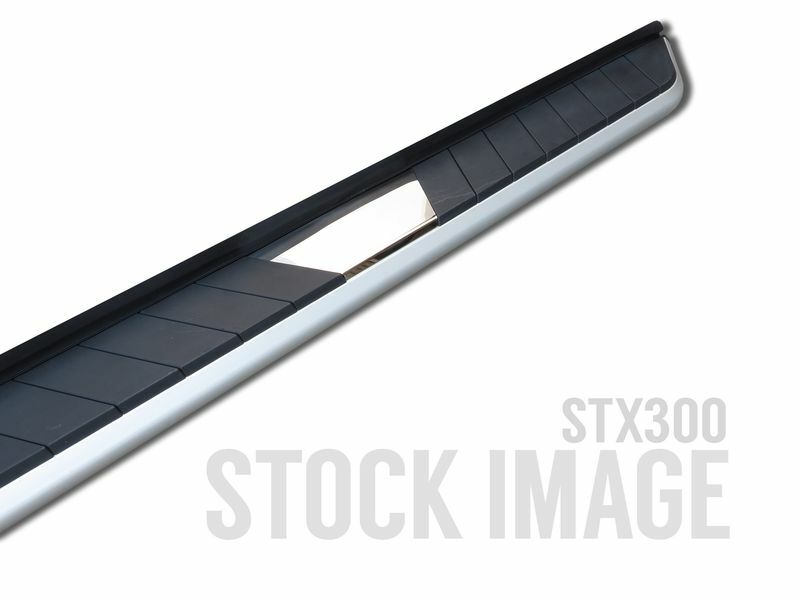 Sold in pairs hardware included-Steelcraft STX300 Running Boards are shipped in pairs and include all of the necessary hardware. 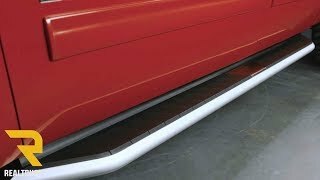 Installing the Steelcraft STX300 running boards are very easy to install, with their step by step instruction guild you should have them installed within an hour. If you do have any questions please give our amazing customer service call and they will be more than happy to help you out.